Constructed with carbonized peeled willow sticks, they are light mahogany in color, we offer in 5' and 4' high. 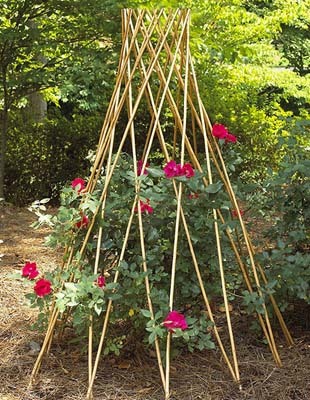 WGT-60CT open to 30" wide at the bottom at 57'H, WGT-48CT open to 22" wide at the bottom at 46"H.
Willow teepee trellis offer protection as well as climbing structure for vines. 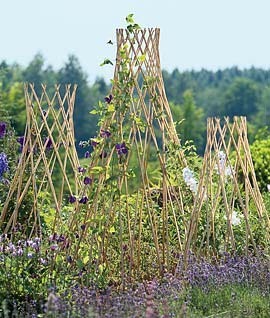 Expand to various height and lengths, easy store away in off season. Light mahogany tone adds color your landscape. Open to 30" at the bottom at 57" hight.